This post was sponsored by Fellowes as part of an Influencer Activation for Influence Central and all opinions expressed in my post are my own. Are you planning to spring clean this season? I think you need to check this post out before you do that. Chances are that you are not doing these tips and spending way too much time spring cleaning instead of enjoying the nice weather. Spring is here, and for some of us, spring cleaning season is upon us. I love to clean; but honestly, I don't like to waste my days cleaning either. Even when days are spent spring cleaning a home this season, you might not complete everything else you wanted done. Yes, I get it. Spring season means revival of some sort, so I decided I would write about it. I also want to make sure you don't waste too many of your spring days deep cleaning your home! I also want you to make sure that when you are spring cleaning, you are focusing on things that really matter, not on the things that you can do year round! We focus on just dusting. Seriously, we dust ceiling fans and blinds. We wiped baseboards and we take on projects such as organizing the basement, attic and garage. We just do a major home spring cleaning that, for some of us, takes weeks. This year, you should spring clean this season while focusing on creating a yearlong habit that will boost your productivity as well. Yes, you are going to spend your spring cleaning by adopting organization habits to help you to be more productive all year long! Not just spring, all year round! This way you won't be wasting your beautiful spring days working inside your home so you can get back to the things you love. For me, it's gardening! Laura Stack, The Productivity Pro, has great tips on organizing your home and spending less time dealing with messes. Her approach focuses on less time dealing with home messes, and more time doing things you love, is something we all can do. 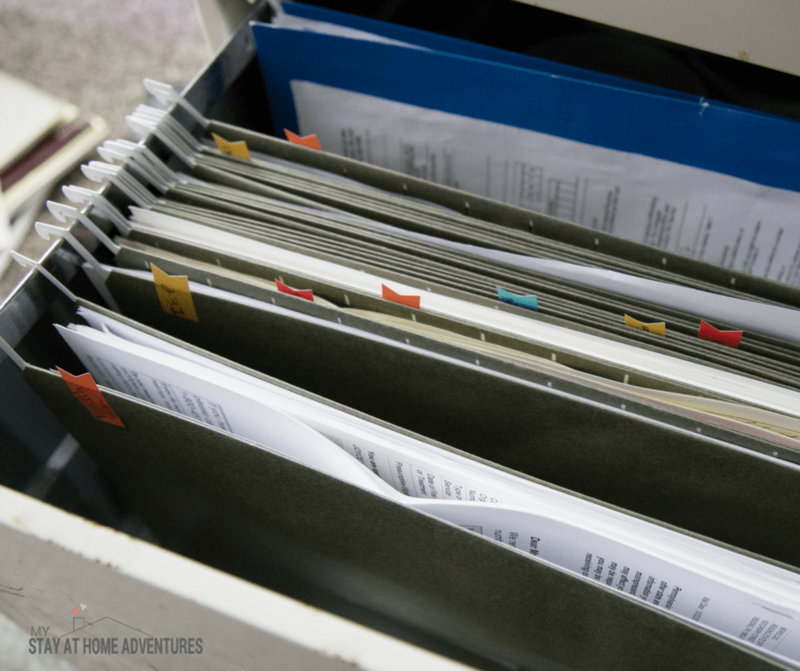 I have written a post about the importance of organizing your paperwork because it can affect your finances. You see, during spring cleaning time, we seem to only focus on paper work; that might be because we are also dealing with tax season. Once we decided to attack our paperwork, the way we get rid of our important documents must be done carefully. The reason I say this is because I have been guilty of throwing away and recycling my paperwork, and not thinking of identity theft until it happened to us. Papers such as recipes, permission slips, and other paperwork can be processed this ways. However, sensitive documents that contain personal information should be shredded, and this is where we went wrong. You see, we started to shred some of them, but then we got tired of dealing with a small cheap shredder that only worked when it wanted to, and could barely do 2 sheets at once; so we decided to just toss it in the trash. We couldn't properly get rid of our sensitive documents because we didn't have the right shredder! 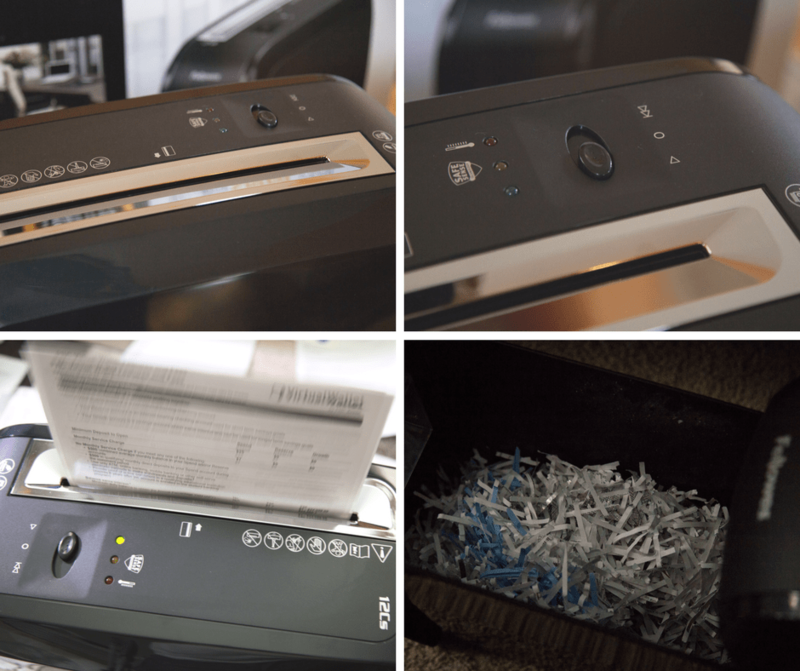 This spring, thanks to Fellowes' 12Cs, we are able to shred up to 12 sheets of paper, which makes this part of our spring cleaning fast. The Fellowes' 12Cs has SafeSense® technology that makes it a great choice for at-home use around children and pets. You are going to take the time to label your files logically, systematically, and clearly. When I say clearly, I mean that you are going to label by subject and using a color system. If you don't want to do color systems, create your own fun system by decorating folders. You can also use subfolders to divide large categories into smaller grouping by topic. The point is to use an effective system that works for you and will help you keep your paperwork organized all year. By creating routines, you will spend less time and energy thinking about small tasks and you can focus on bigger and more important things. 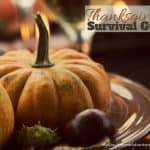 A routine must help you to complete things faster; an example would be me making my husband and kids lunch the night before so I can focus on getting them ready and breakfast done the next day. Your routine should help you save time and make things simpler for you in the future. 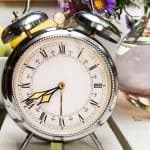 After you get used to your routine, things will fall into place and you won't have to spend so much time and energy on your spring cleaning next year. Let's be real here, distraction is probably the reason why we don't get things done or we just don't have good time management when it comes to organizing. Use a kitchen time for any task you don't like to do. Estimate how long this dreaded task will take and schedule it as it was an appointment on your calendar. Doing this will make you focus on a task and it will seem like time is flying, and when before you realize it, your job is complete! It will also seem like it was done easier and faster doing it this way. Just a tip about using the timer, since you will work non-stop, make sure you schedule it for about 45 minutes. Why 45 minutes? This is the average time of appointments, and since we are making this an appointment, it makes sense! 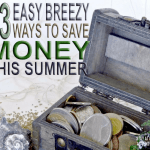 As you can see from this post, we can change the way we spring clean this season, and with these home organization tips and tools like Fellowes’ 12Cs shredder, we can go about enjoying our spring days, and less worrying about cleaning. 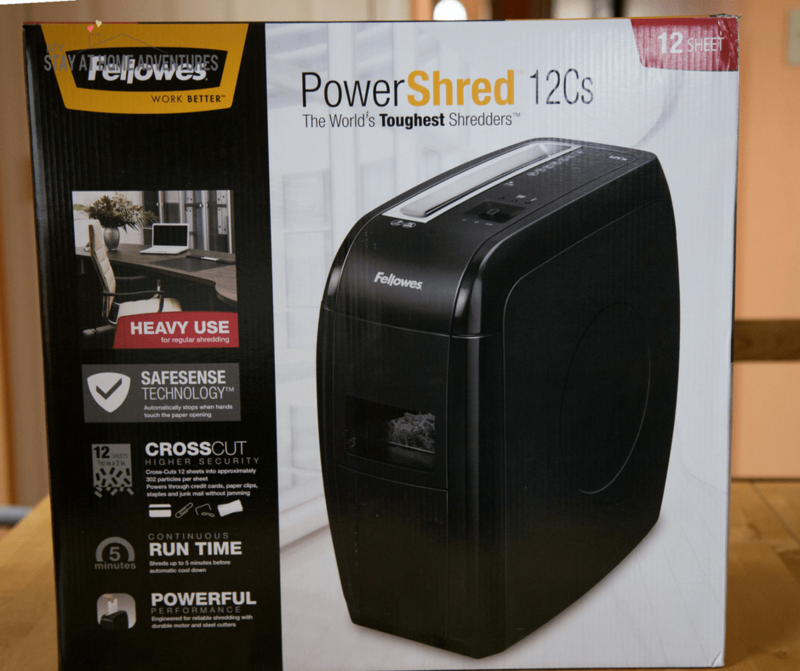 The Fellowes’ 12Cs shredder can be found at your local Wal-Mart. Do these tips change the way you will spring clean this season? Let us know!